Today, Small Business owners have a wealth of cloud-based software and technology at their fingertips that allow them to do more with less, operate more efficiently and compete with bigger companies. This is very true of the category of software known as Accounting and Bookkeeping Software. Accounting and Bookkeeping software for small business can be very confusing because there are categories and sub categories of software and to a small business owner who may not be an expert in accounting processes, selecting the right accounting software to help run your business can be frustrating an confusing. This post will help clarify and simplify accounting software for the untrained small business owner. Accounting software is software that automates or assists the user in a variety of accounting and bookkeeping tasks. Most typically a cloud or internet-based software it stores business’ financial data and information necessary to complete annual taxes, and is often used to perform actual business transactions such as generating vendor invoices, managing spend and expenses and tax preparation. The core accounting and bookeeping software features listed below would be considered the bread and butter functions that pretty much all accounting apps should offer to a small business owner. These features may or may not be part of a core accounting software application like QuickBooks but rather may be a separate software app like Neat is for expenses or bookkeeping that integrate to the core. How should a small business choose the right accounting and bookkeeping software? You run a small business and likely don’t have time to go through a detailed software evaluation. Here’s some tip[s you should follow in deciding which solution (s) you bring in to help manage your small business accounting and bookkeeping processes. External accounting firm in use? If you use an outside accounting firm, check with them first to see if they have a cloud-based software solution you can access and send information into. This will greatly reduce the software you need to purchase/manage as you’re piggybacking off of existing accounting software. Type of business? Different businesses have different needs. For example, if you’re a landscaper with 5 employees and several hundred miscellaneous expenses per month, you will have different needs than an independent consultant who bills 5 clients per month and has little expenses. Talk to your peers or check LinkedIn groups in your space to ask. Training? If you are going to be a primary user of the software, determine the training provided by the vendor based on pricing plans. Is the training live? Recorded? Make sure training and support are available when you will be using the software, which is often after hours. Match features to needs. If your primary needs are invoicing, you may not need a full accounting software package at all. You may need a point solution that does the one or two key things you need. Be sure when you’re searching, you plug in the key features you’re looking for in your search criteria (online or directory). Take a 30-day trial. Most vendors offer a trial period. Take advantage of it. Get a feel for how the software functions and make certain it has everything you need. Regardless of which end of the spectrum you choose make sure the app and company provides the support you need and don’t be afraid to get professional advice. There are tons of small business accounting and bookkeeping firms that specialize in software that can jump in and assist getting you off the ground. 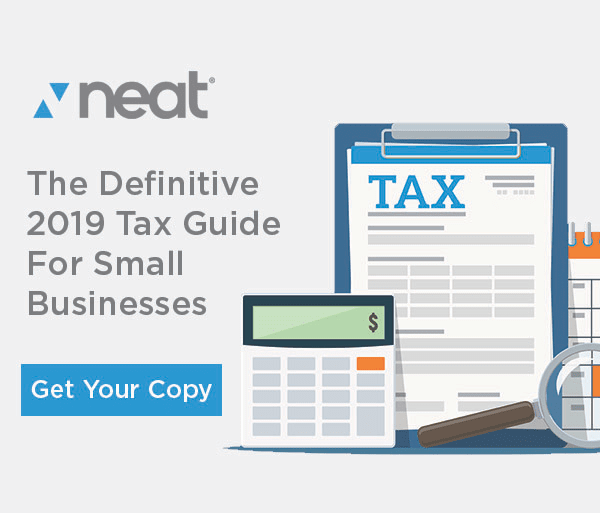 The neat Company develops software for small business that is designed to automated many time consuming bookkeeping tasks and integrate with accounting software such as QuickBooks. Provides a means to capture business expenses and invoices via mobile phone, email-in, direct upload and scan and then process the paper information and transform it into searchable business files. Anyone can test Neat out for 30 days at no cost to see how we save our customers about 12 hours per week on administrative tasks.